Characterized by the majestic Baltic coastline and adjacent white sands, Lithuania boasts lush green forests, hidden lakes, and coastal wetlands. A nation with a turbulent history, Lithuania houses the remains of a former nuclear site and the remnants of defenses used to strengthen the frontier of the Tsarist empire. At the same time, it pays homage to its national heroes, honored in sculpture parks and museums throughout the country. Today, Lithuania boasts a thriving musical, cultural, and visual arts scene, hosting a range of festivals and concerts year-round. Lithuania is in Europe. 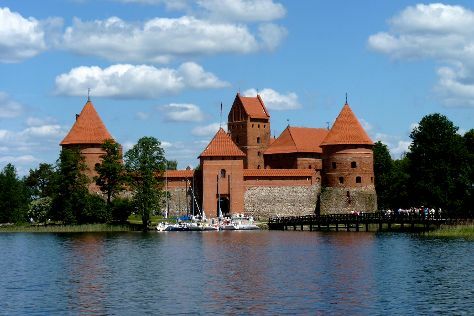 Use our Lithuania trip planner to plan your trip to Lithuania and other destinations in Lithuania.